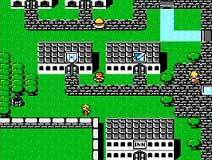 Final Fantasy I which was released on the 18th December 1987 on the NES in Japan was a lot different than the Final Fantasy games we know today, there were no big stories and the heroes did not even have their own names. 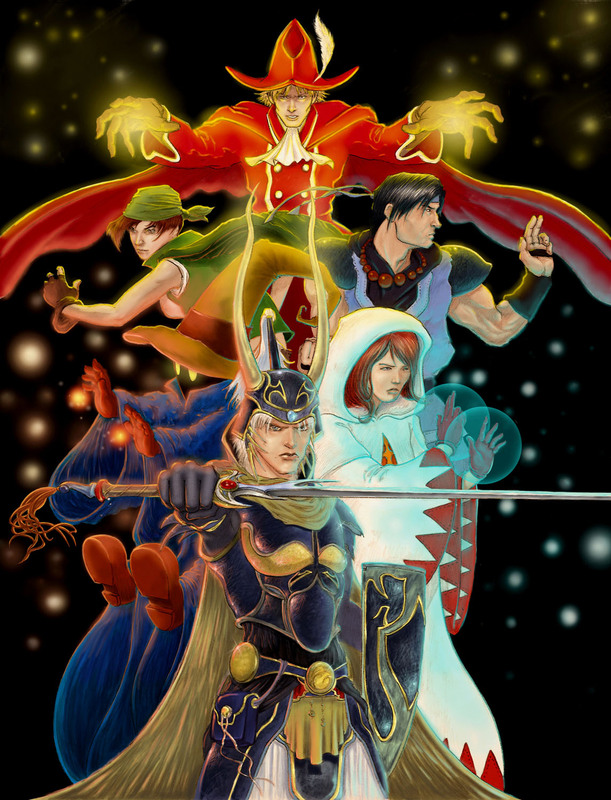 You pick among the job classes of your four heroes of light and that was it. 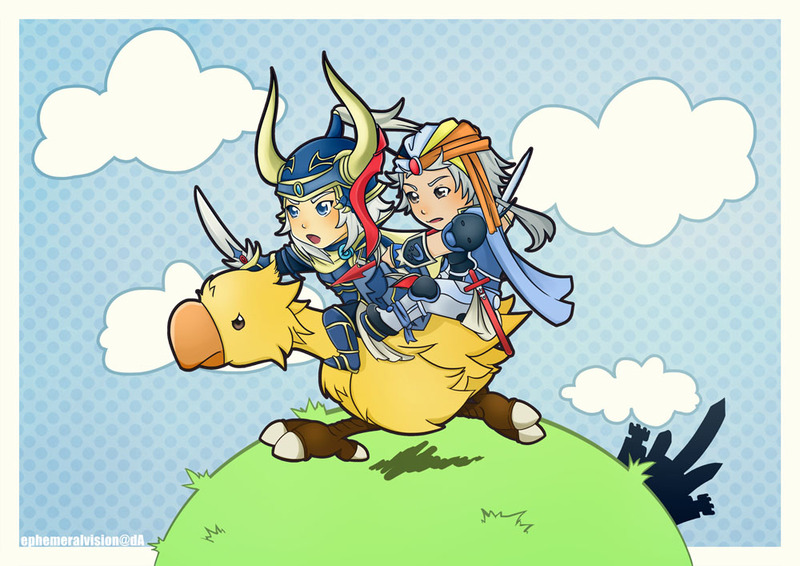 There were no fancy videoclips or orchestral music, no Chocobos or even a love story between the main protagonists. 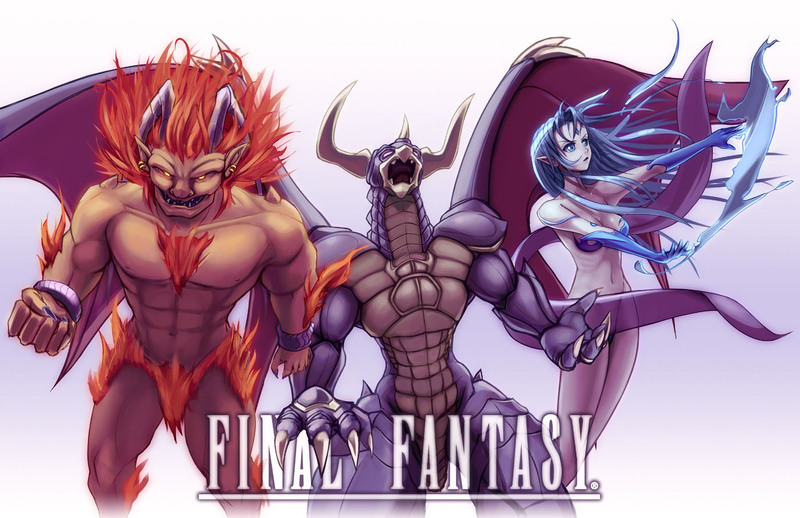 This is an art tribute for the first game of the very popular Final Fantasy games, and most likely the only one while others might focus on the newer games. 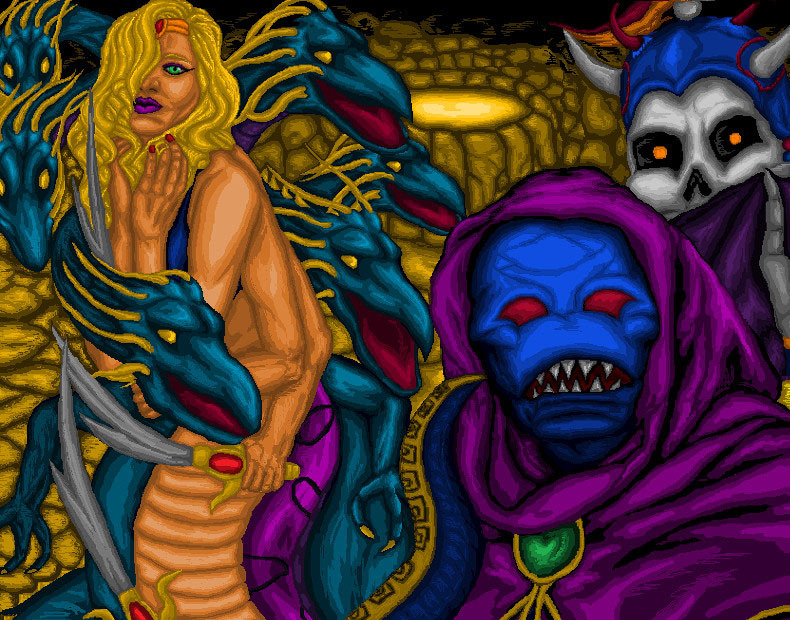 There is no Cloud and no Lightning in this gallery, it is all about nearly forgotten video game history here. 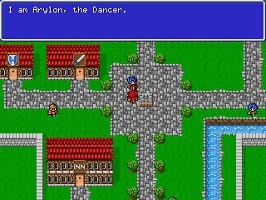 Welcome to a little journey back to 1987! 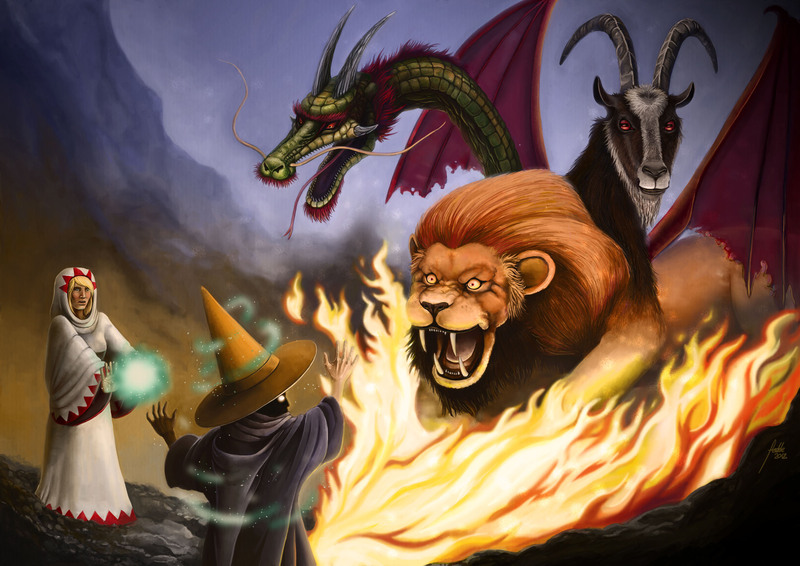 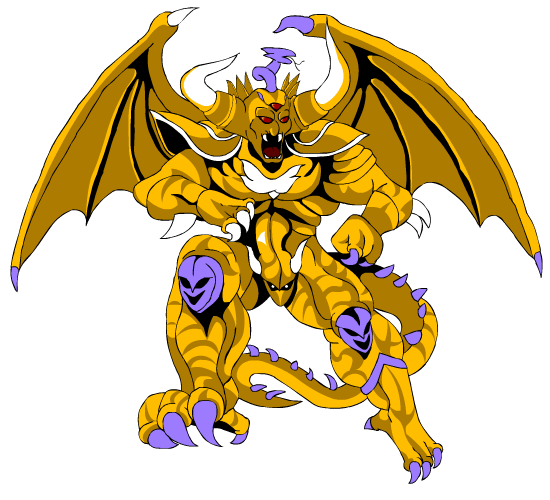 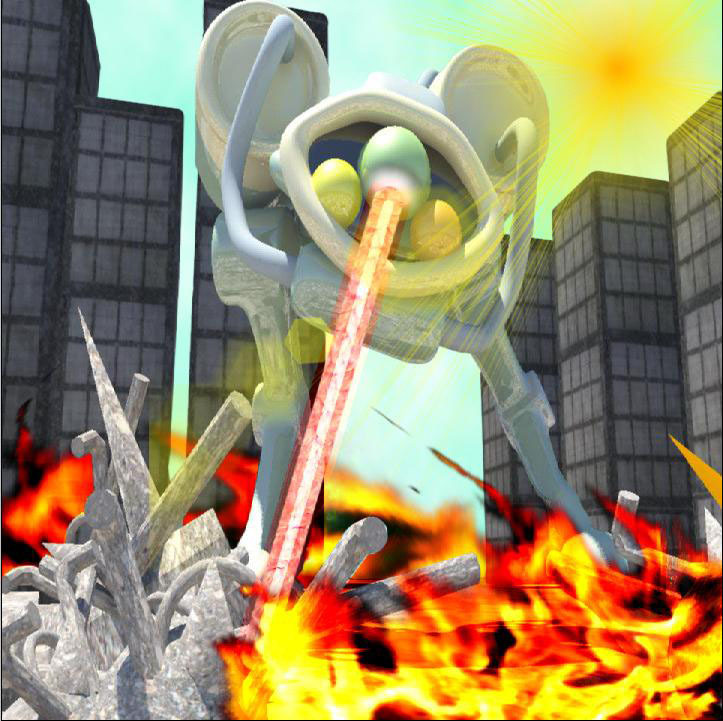 The Black and the White Mages fighting a Chimera, this enemy returned in almost all Final Fantasy games. 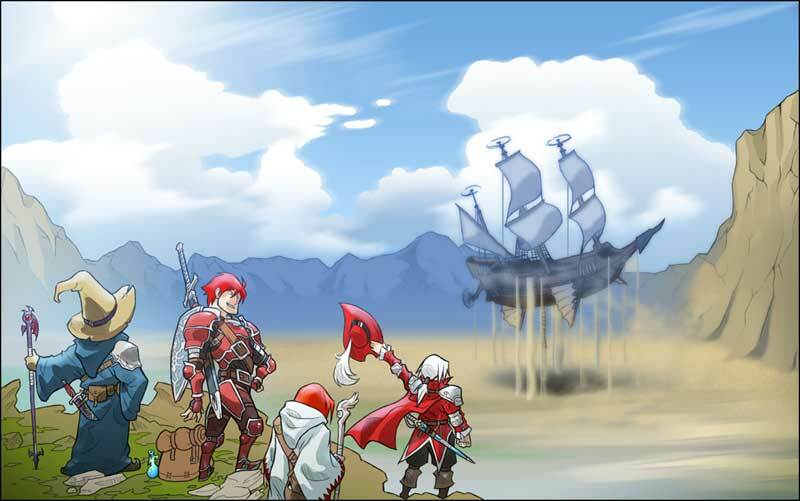 Airships appear in almost all Final Fantasy games since the first part, this is the moment when the FFI quest truly begins after the Airship got lifted out of the desert. 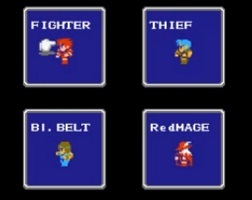 In Final Fantasy you can choose among 6 character / job classes at the beginning. 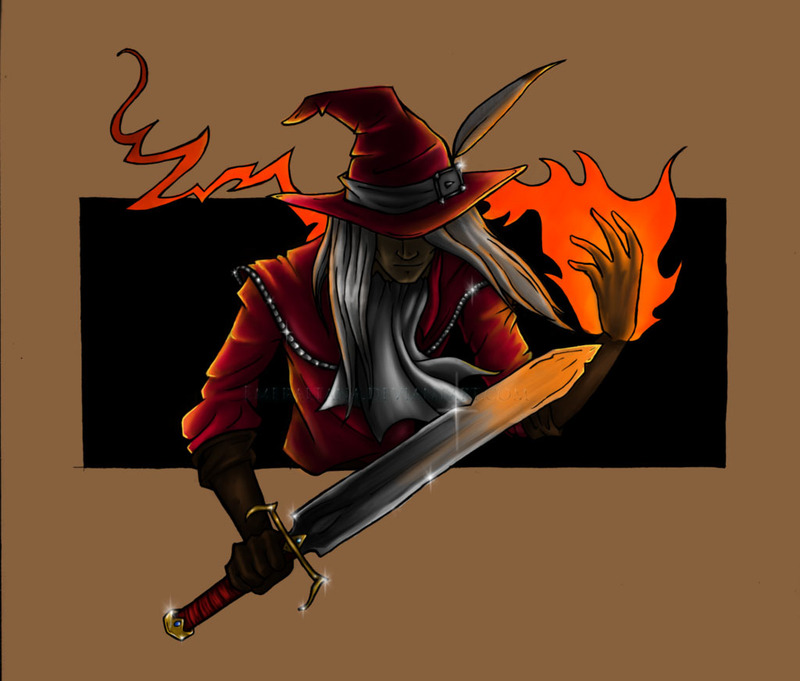 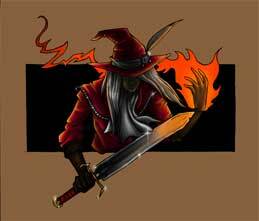 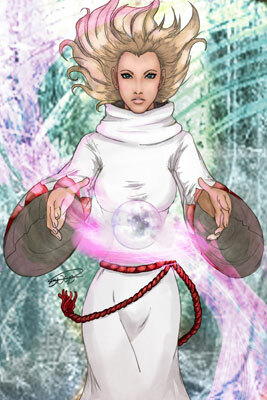 They are the Warrior, Thief, Monk and the White, Black and Red Mages. 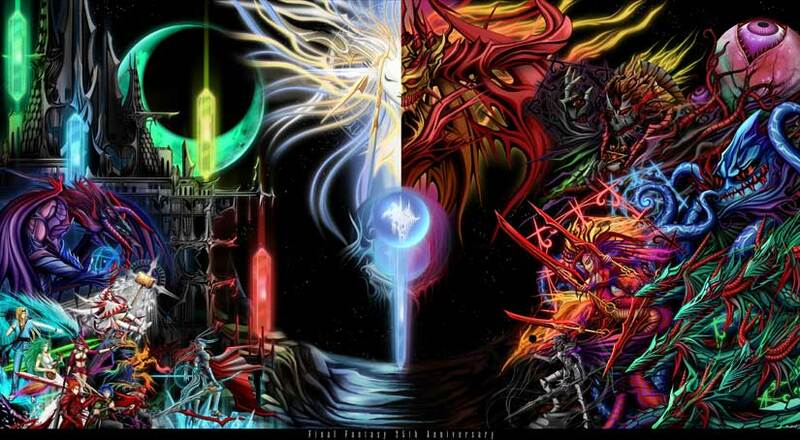 The following artworks are all about these possible “Warriors of Light”! 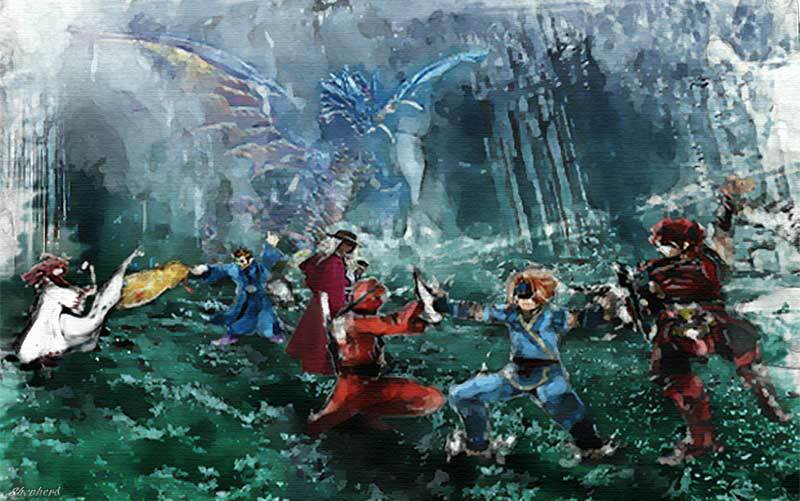 The Warriors of Light? 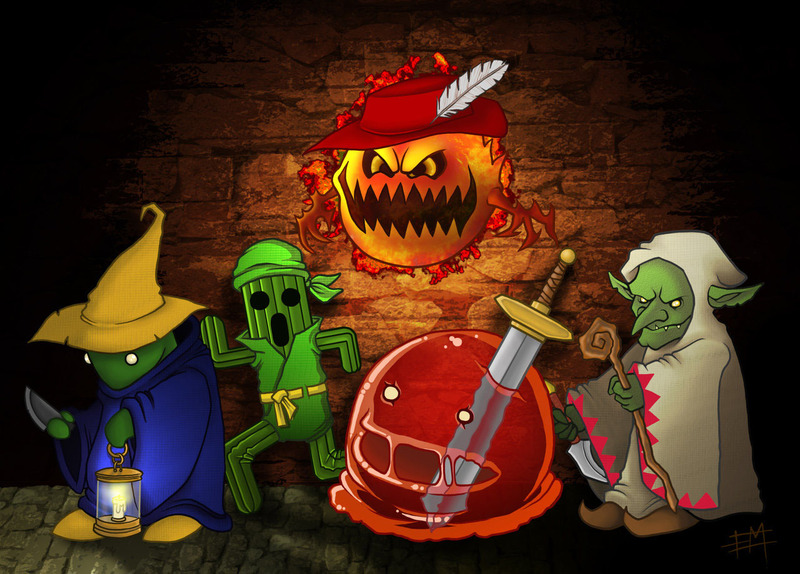 Nay not really, but Ed Moffatt hat the Idea to let some recurring enemies of the Final Fantasy series dress up as them for a change, time for the Tonberry, the Cactuar, the Pudding, the Bomber and the Goblin for new roles! the 3 popular Summons drawn by Hybridmink. 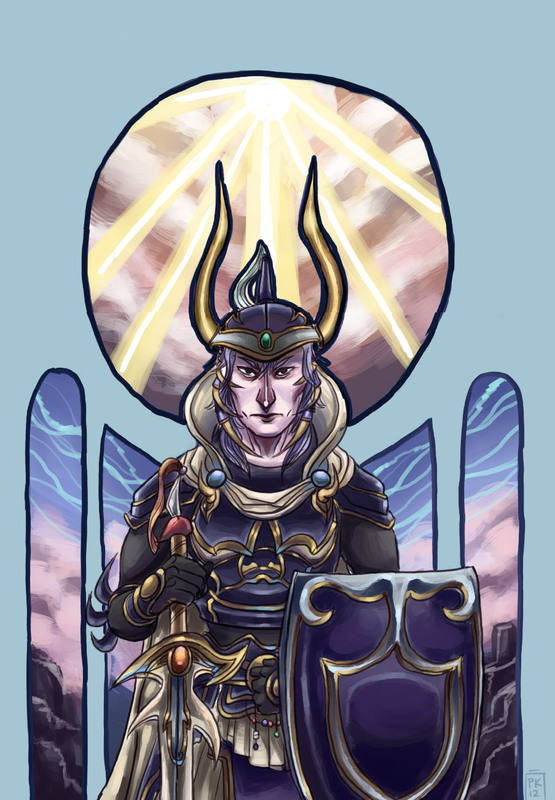 forward to new battles drawn by Ephemeralvision. 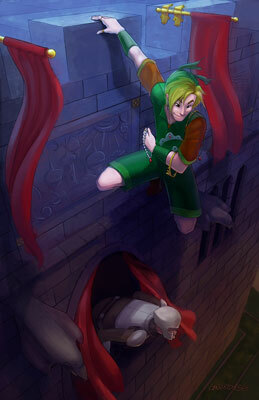 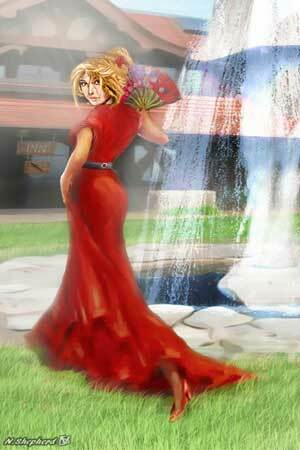 There will be an art tribute about Final Fantasy Protagonists in 2013 on Game Art HQ for sure. 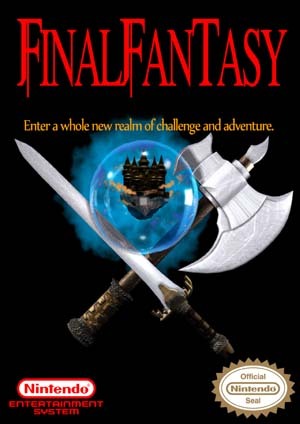 Thanks @ everyone who created this great start of the Final Fantasy series for us over 25 years ago!